With everyday verbal communication, it is almost easy to get lost with what is being said because most words sound the same. Okay, that’s an exaggeration but the point is, for someone whose second language is English, it is easier for them to get lost confused. This article will define what a homophone is and outline the distinction between pigeon and pidgin which are examples of a homophone. As you would have noticed by now, pigeon and pidgin have the same sound but they are spelled differently. A homophone is a word that is pronounced the same as another word, however they may differ when it comes to meaning and differ in spelling too[i]. They have the same sound. Homophones that are spelled the same can be referred to as homographs and homonyms[ii]. Homophones that are spelled differently are called heterographs. Examples of heterographs include pigeon and pidgin. Pigeons including other species of birds, form a family of Columbidae[iii]. They can be found worldwide except for areas with colder climates and the most remote island. Pigeons can be described as small, plump (others will choose to call it fat), small-billed bird with a skin saddle in between the bill and the forehead. 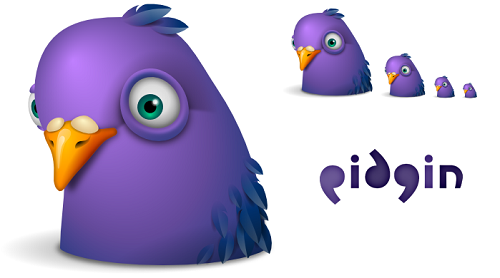 Pidgin is sometimes called the lower level of English – ‘pidgin English’. It has been simplified with reference to grammar, to suit two or more groups of people that do not have a language in common[iv]. Understandingly, pidgin languages have limited structure and vocabulary in order to make communication between people who do not share a native language much easier. Formerly known as ‘pigeon English’, it was spoken in China in 1859 to communicate with the Europeans[v]. The spelling was later changed to ‘pidgin English’ in 1876[vi]. The word pidgin comes from the Chinese pronunciation of business[vii]. Nokukhanya Minsi. "Difference Between Pigeon And Pidgin." DifferenceBetween.net. June 30, 2017 < http://www.differencebetween.net/language/difference-between-pigeon-and-pidgin/ >.